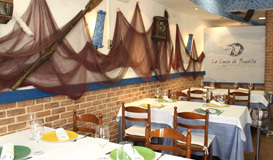 La Lonja de Boadilla Restaurant is located in a privileged place of the town of Boadilla del Monte (Madrid). Placed just in front of the Infante Don Luis Palace and with a big terrace area with gardens, it will make your visit become unforgettable. 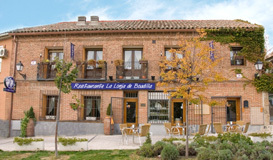 All the staff of La Lonja de Boadilla Restaurant will be at your service to offer you all the attention and help you could need to feel with us like with family. 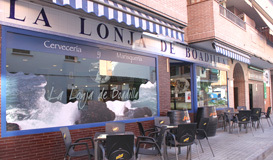 Our installations and the people that will serve you are welcoming and will offer you the most familiar and personalized attention.